Tony, who you may know as Mister Squeegee. Tony has been in the window cleaning industry for over a decade and right from the beginning was grateful to have found industry related forums a huge benefit to his business. He has had the privilege of learning (on the forums, in emails, and in person) from some of the best in the industry. He has learned that there is an overabundance of information out there and not all of it is helpful. That’s why he spends as much time as he can spare helping others avoid the speed-bumps that slowed him down.He has found a great deal of satisfaction in passing along what has been given to him and adding what he’s gleaned as well. In fact, the help and education he has received from the UAMCC members is a huge part of that. He highly recommends joining the UAMCC and getting involved if you are serious about taking your business to the top level. “Mr. F-9 Rust Remover” is how many people think of Craig Harrison. While running his own pressure washing paver restoration business over the last 15 years, Craig decided that current chemicals just didn’t do the job. 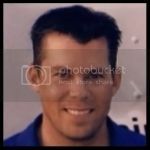 He became an inventor of his own products to better his own business and now shares them with the world as President of F-9 Restorations www.front9restoration.com. They make, test, distribute and teach professionals the art of Preservation Restoration using the latest developments in the chemical cleaning industry. This is an industry leading cleaning chemical company in the fight against rust, fertilizer stain, irrigation rust stain, and orange acid cleaning. They train and certify professional Front 9 applicators to treat virtually every surface with no damage whatsoever. 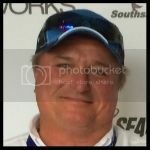 Aaron Ritchie is the owner/operator of Benchmark Pressure Washing www.Benchmarkpressurewashing.com. Aaron was a masonry contractor for years doing commercial jobs and worked for several contractors that he had to clean his own brick. He bought a new pressure washer on a trailer with a tank and a ladder rack and 55 gal of brick cleaner. In 2002 he started cleaning his own brick instead of hiring someone to have it done. In 2008 he started pressure cleaning solely and got out of the masonry business. Come hear Aaron Ritchie teach participants on new masonry cleaning and brick restoration. 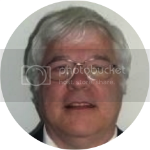 Paul Schneider entered the power washing and kitchen hood cleaning arena in 1977, in Los Angeles. At that time he worked with one of the industry’s post WWII pioneers, Phil Drake. Paul helped to further develop hood cleaning and stove cleaning procedures, including a system for cleaning oriental restaurant hoods. There he authored a hood cleaning manual for beginners as well as a very successful marketing system. 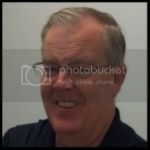 Subsequently he operated a hood cleaning business in Florida and currently is based in Central Illinois. Having trained many employees during his career, he wrote a new manual and began offering hood cleaner training, so as to acquaint start-up operators with proper cleaning methodology. Born into a family of window cleaners, Andrew had a squeegee in his hand the moment he turned 13. From that point on, Andrew’s father would teach him everything he needed to know about running a successful window cleaning business. 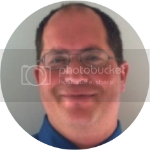 In 1992 he founded Quad City Window Cleaning located in Moline IL. Years into running his own Quad City Window Cleaning business, Andrew met Jon Welker at an industry seminar. After much research and endless meetings, the pair decided to join forces and combine their 40 years of experience and knowledge to co-found Agent Clean and Agent Clean University. Together their teams, the two continue to provide window cleaning, power washing, roof cleaning, mold removal, and more to residential and commercial customers alike. In October of 1989, Scott Stone had a six month old son, and a wife that wanted to be a stay at home mom. He was working in a salvage yard for the largest utility in Arizona. As one of his areas of responsibility, he was handed the Federal environmental standards, and was instructed to develop an easy program for handling hazardous waste. He also started A Mind for Detail with his wife,as a detailing company. It wasn’t long that he figured out that he would not be able to support his family as a detailer, looked at his equipment, and started washing trucks. A few years later, his business was fully into truck washing and he received an rfp to clean bus stops. A few months later, after having totally forgotten about the bid, he was notified that he won the bid, and has specialized in cleaning bus stops and parking garages for the last 15 years. At the current time, A Mind for Detail has 24 Power wash units that work every day, and 5 of them work double shifts. We currently wash over a million feet of concrete a week, and clean over 5000 bus stops a week. 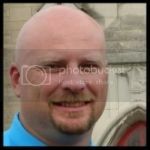 Jon is the owner/ operator of Agent Clean of Missouri www.agentclean.com. With well over 20 years of experience in the exterior cleaning business, Jon’s extensive knowledge is invaluable to the present and future of Agent Clean. 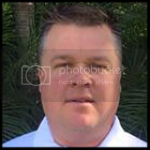 Not only was Jon an early adopter of the revolutionary pressure specific softwashing concept, his expertise in using the time-tested methods of traditional pressure washing, roof cleaning and window washing is unsurpassed. In addition, Jon contributes best practices in more specialized services like holiday lighting, wood restoration and concrete sealing. Beyond the technical side of the business, Jon has a passion for system and logistics development, all of which will play a role in the future development of Agent Clean.